Will a Sleep Apnea Appliance Work for Me? No treatment is right for every patient, but if you’re suffering from sleep apnea, oral appliance therapy can offer significant improvement in the quality and quantity of sleep. Many patients with sleep apnea struggle to adjust to treatment using the more traditional continuous positive airway pressure (CPAP) therapy. 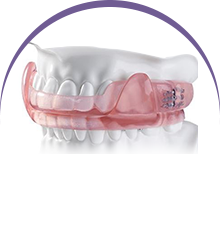 For these patients and those who don’t achieve adequate improvement in sleep using CPAP alone, an oral appliance may provide effective treatment to help you get a good night’s sleep. Comments Off on Will a Sleep Apnea Appliance Work for Me? Snoring may be something that people joke about, but in truth it can be a sign of a much more serious medical condition called sleep apnea. That annoying sound that emanates from the mouth while you sleep is caused by the vibration of soft tissue in your throat as air passes by. Bigger problems arise, however, when this same tissue blocks your airway. To treat snoring and sleep apnea in Plano, TX, Dr. Keane Fedosky at Sleep Rehab will create a customized oral appliance that helps maintain an open airway so you can breathe and sleep at night. So, you snore a bit at night… what’s the big deal? Well, actually, snoring really can be a big deal if it’s a sign of a more serious condition known as sleep apnea. 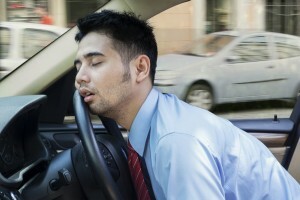 Sleep apnea causes the people who have this life threatening condition to stop breathing periodically during the night. And when we say life threatening, we’re really not exaggerating. Sleep apnea has been linked to a number of day-to-day health hazards that can compromise your health and shorten your life. Therefore, treating this condition can be life saving. 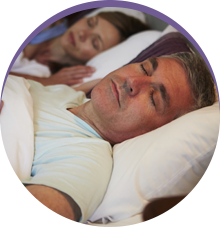 To treat sleep apnea, Dallas, TX, comes to Sleep Rehab, just a short drive away in Garland. Let’s consider some of the ways sleep apnea can harm your health. Welcome to the new blog for Sleep Rehab! This is the place we hope residents of Garland, Dallas, and Plano will visit frequently for the latest news about treating sleep apnea and snoring, as well as updates on what’s happening at our office. 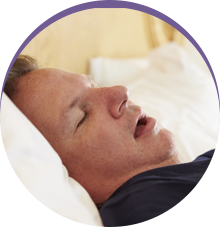 Dr. Keane Fedosky and the team at Sleep Rehab are here to help you get relief from snoring and sleep apnea with accurate diagnosis and treatment.